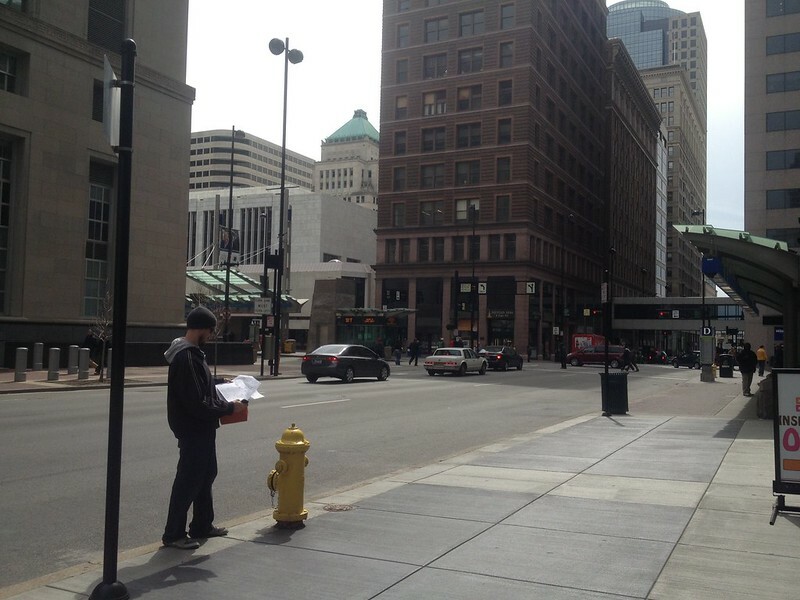 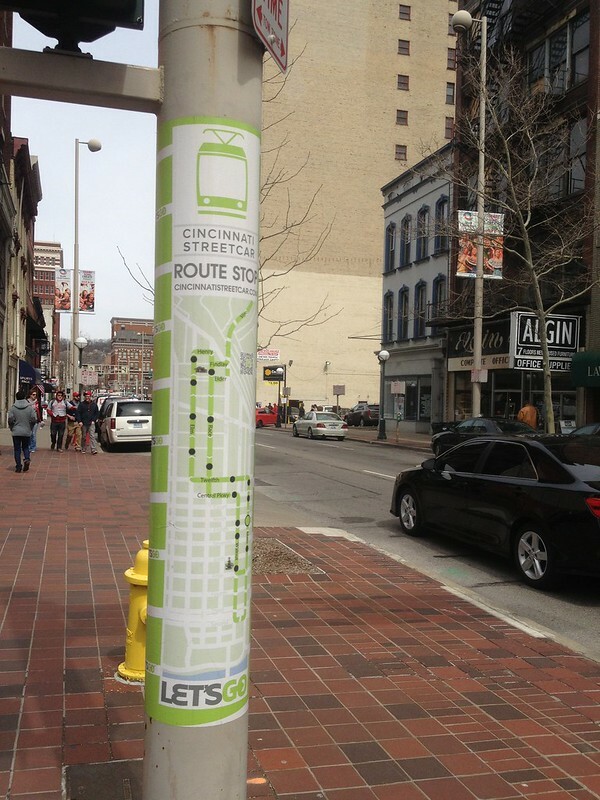 Once a month, Noel Prows organizes a group to walk the route of the Cincinnati Streetcar to view and document the development of light rail in the Queen City. 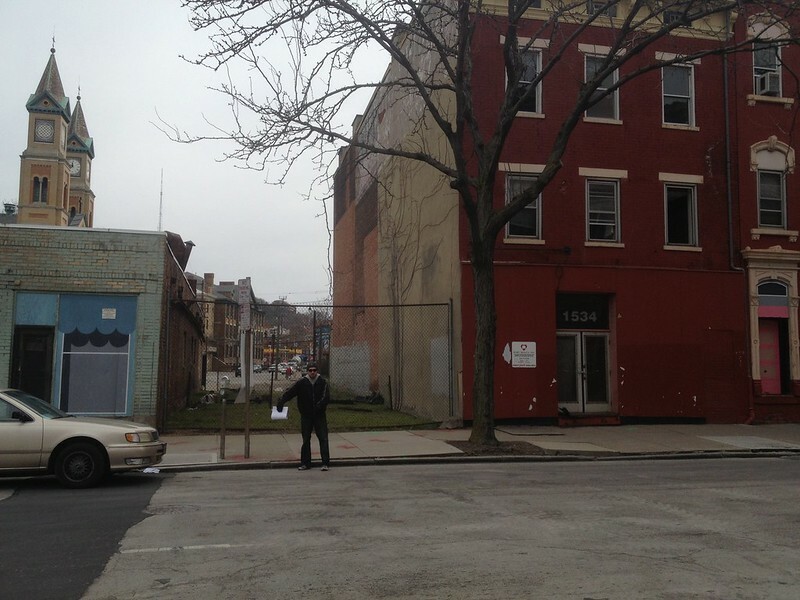 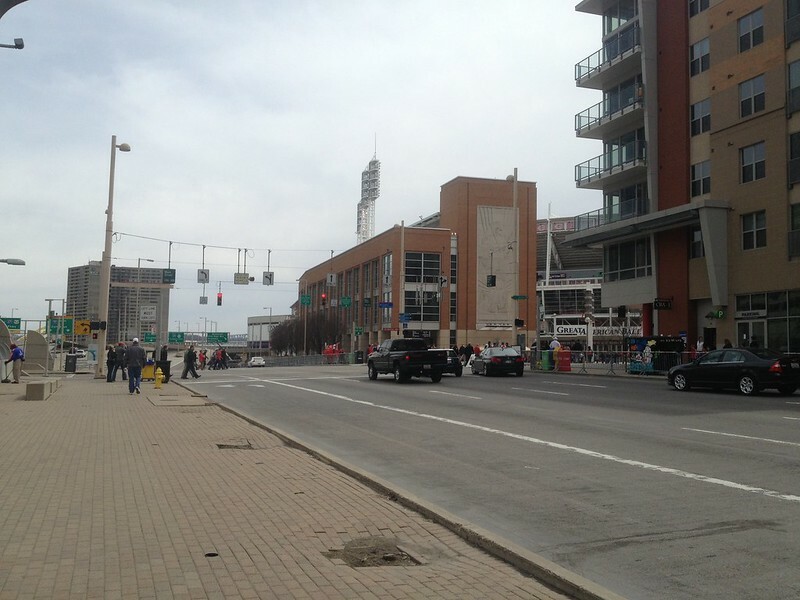 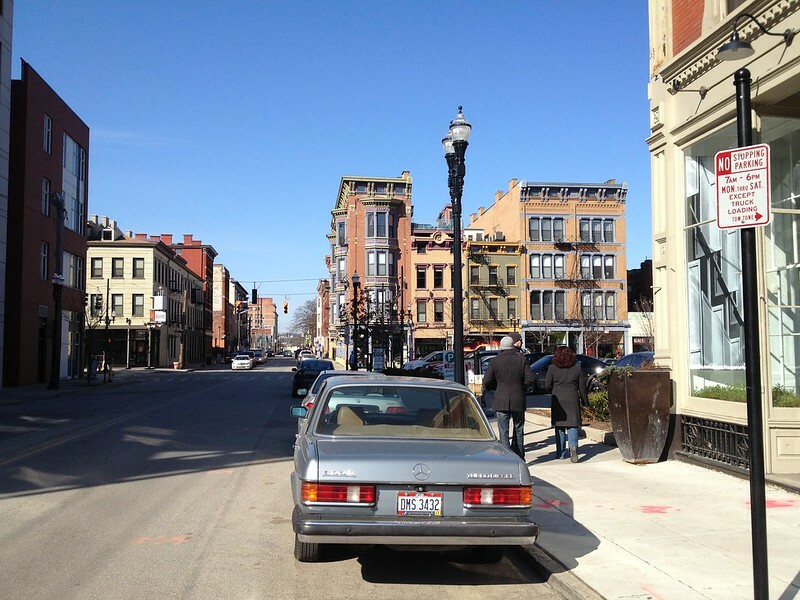 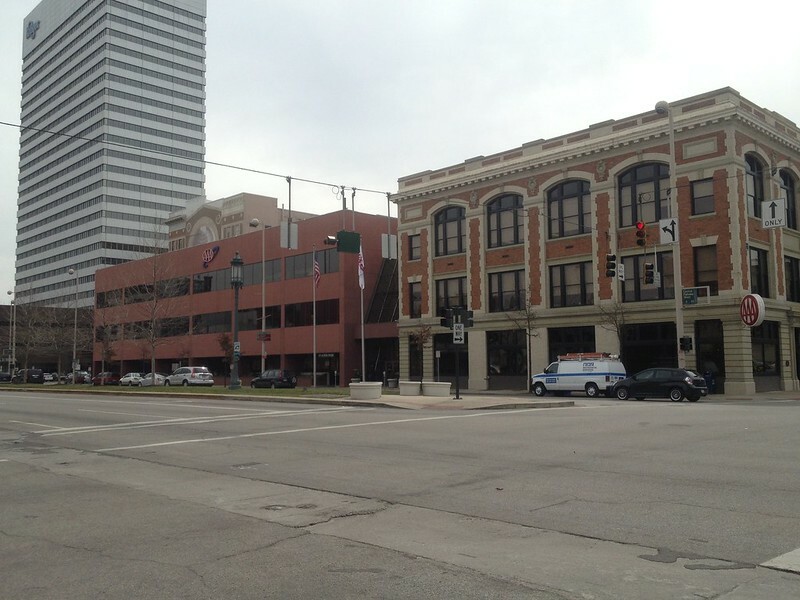 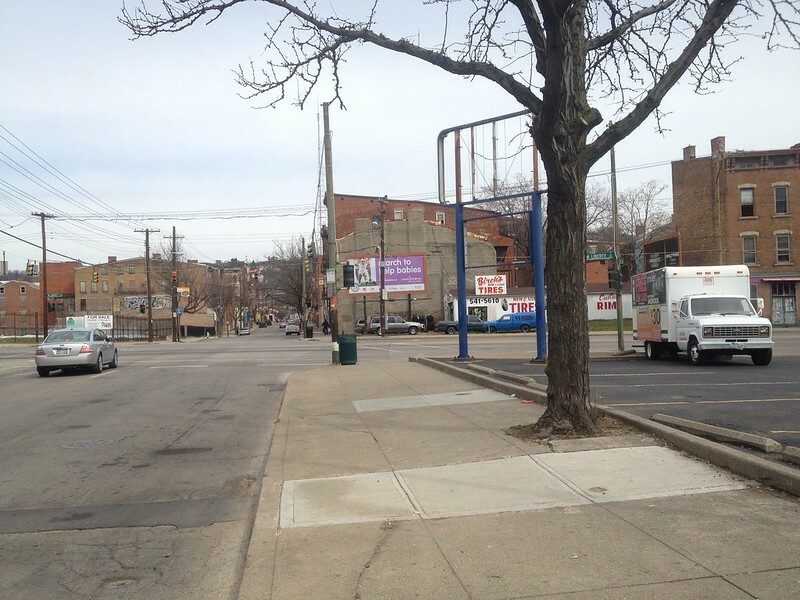 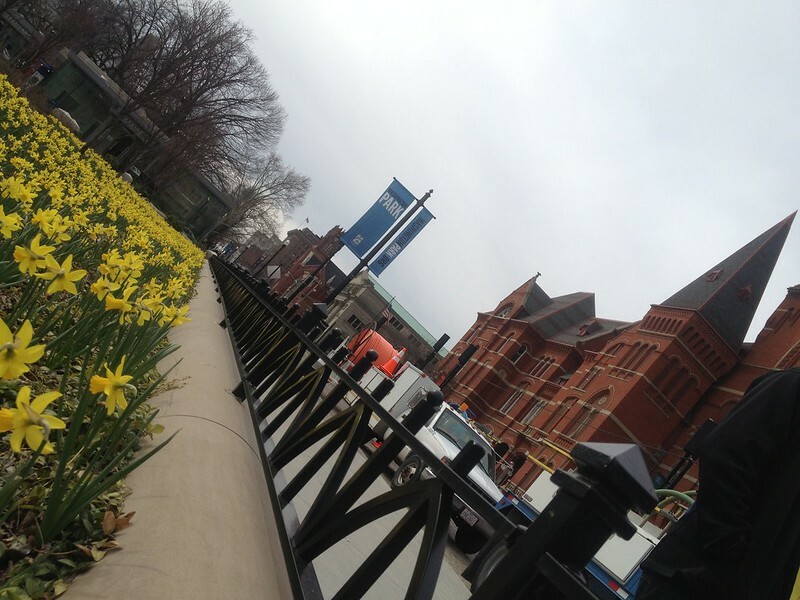 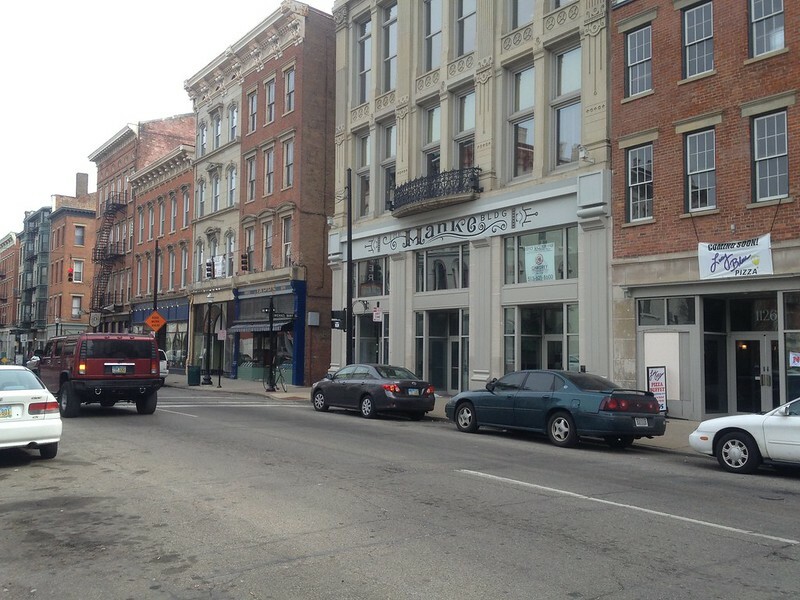 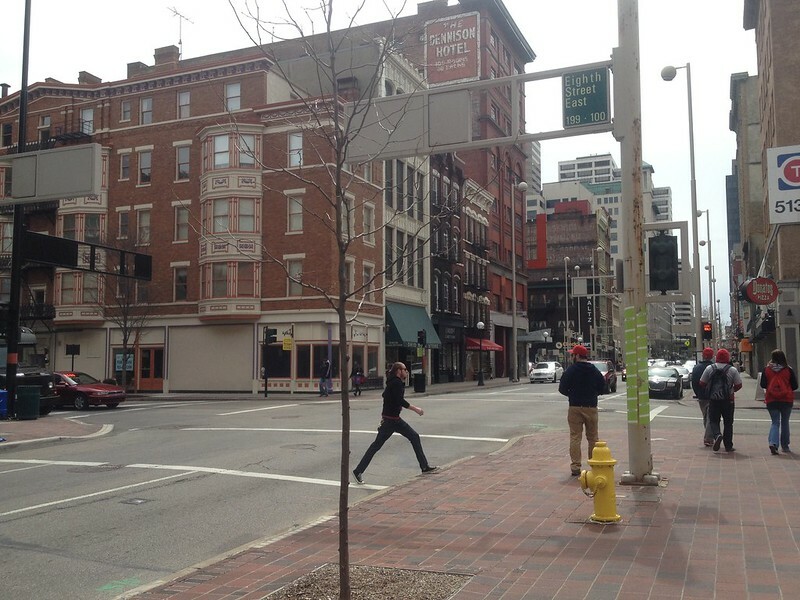 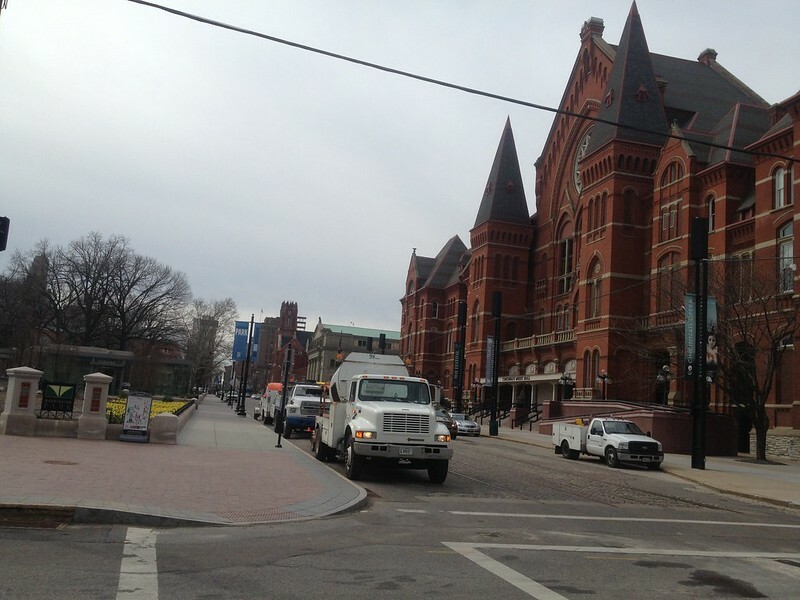 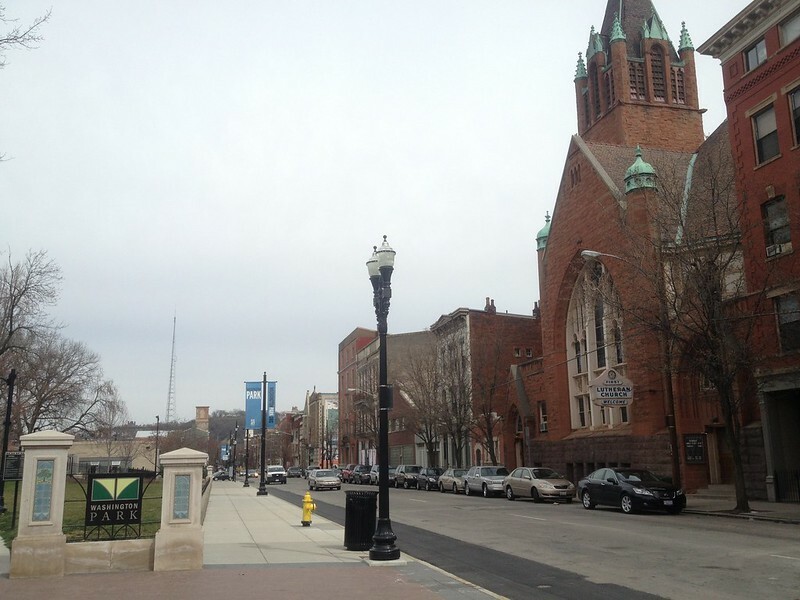 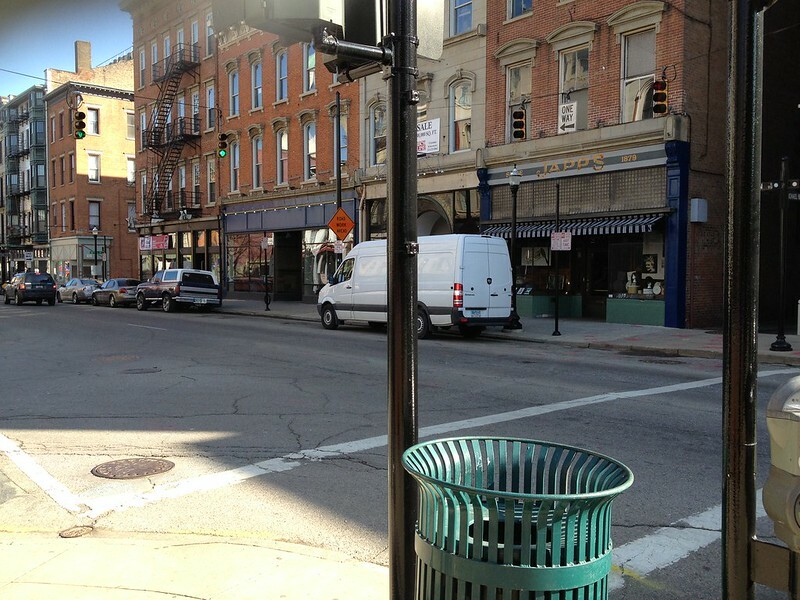 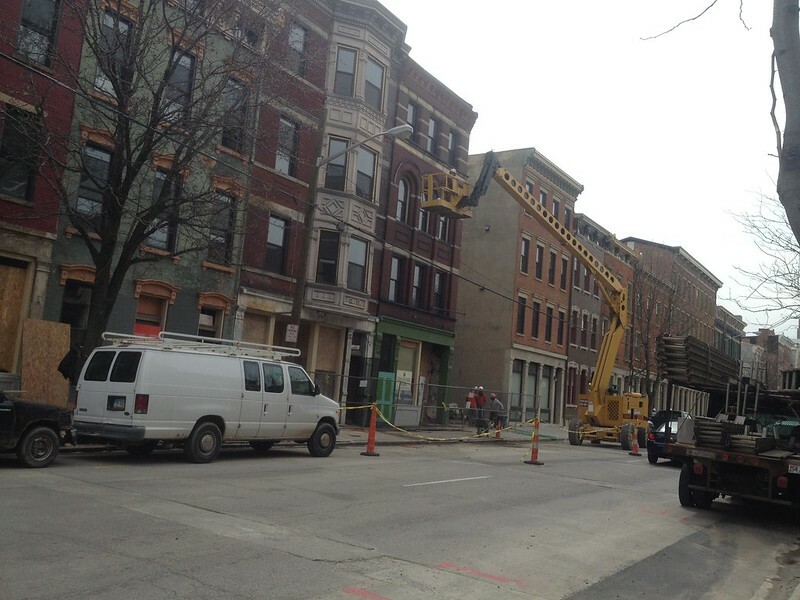 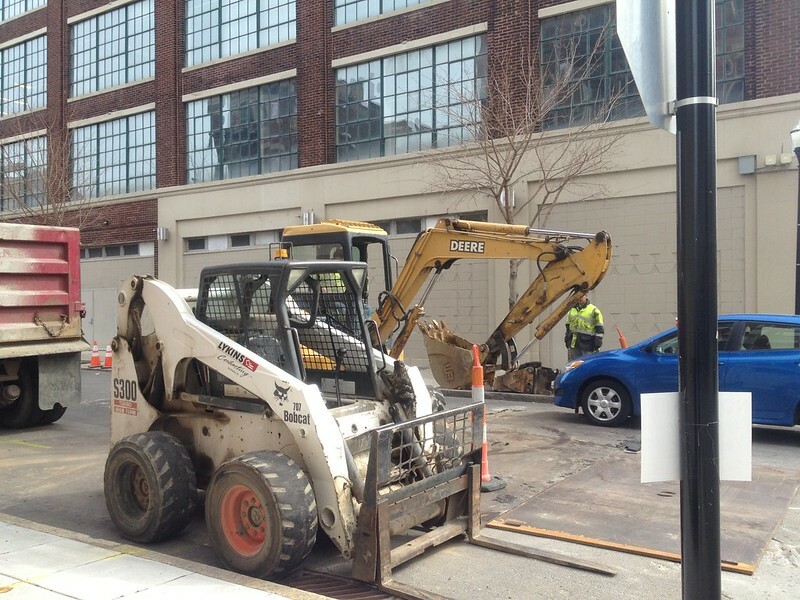 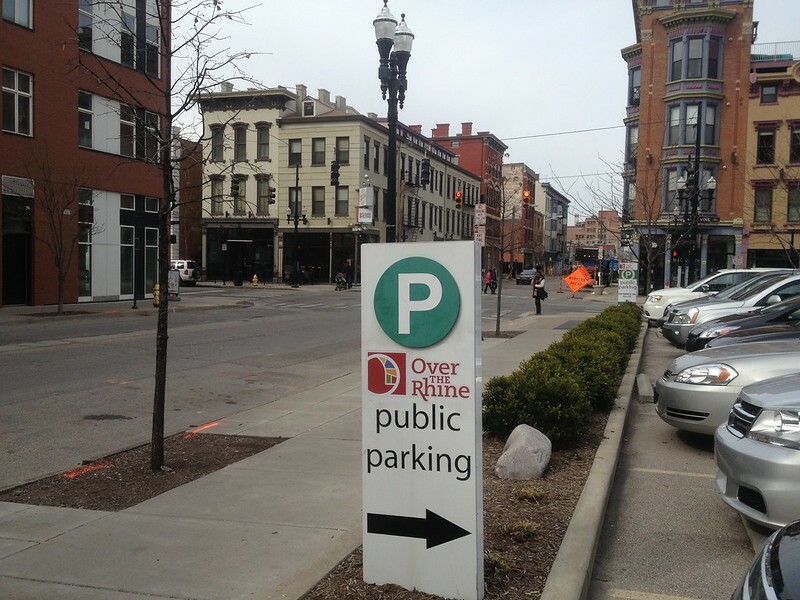 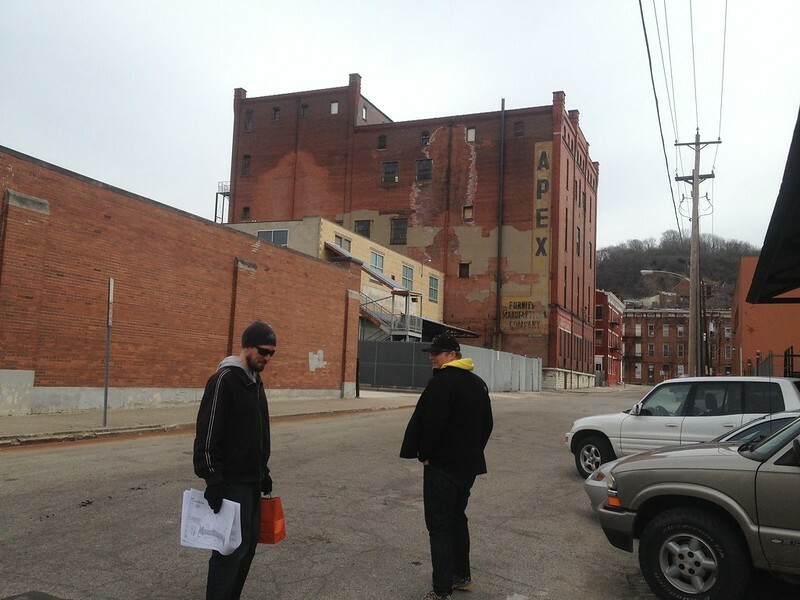 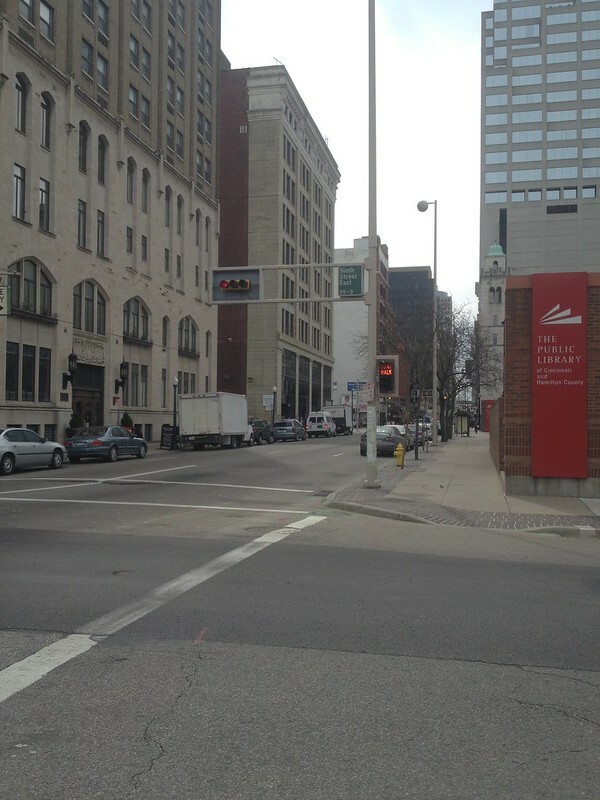 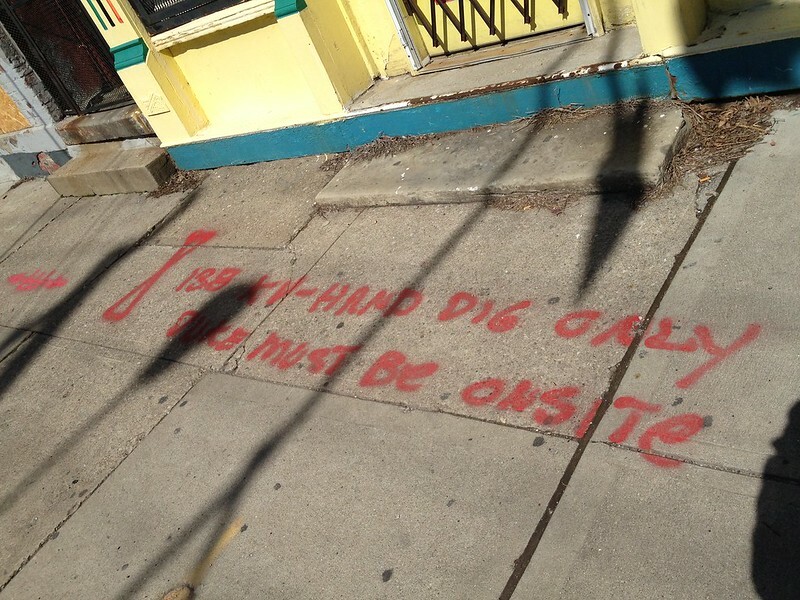 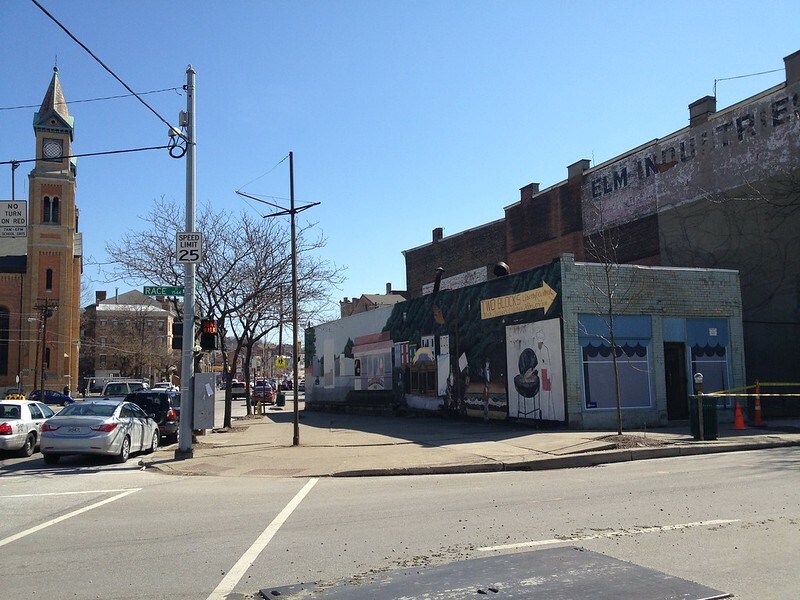 During our first stroll in March, we saw the start of construction taking place in Over The Rhine. 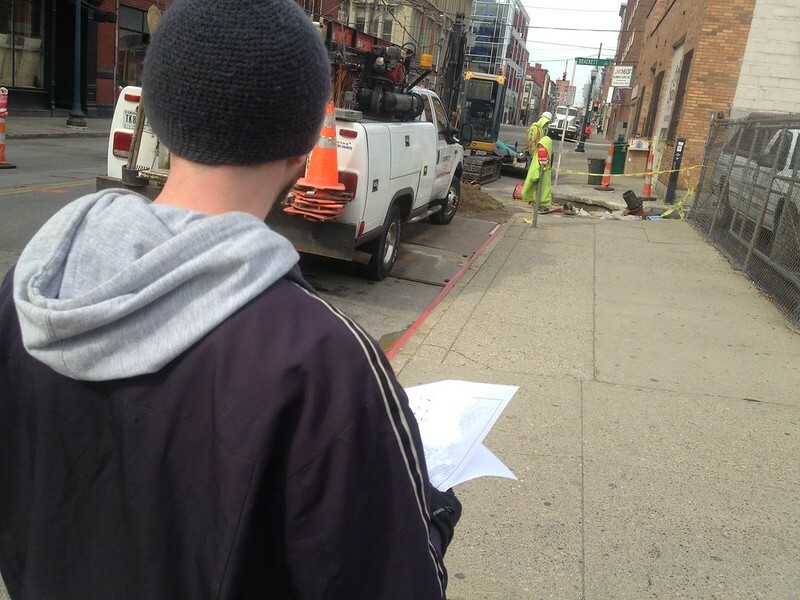 Armed with a blueprint (rather than our old graphic map), we explored the entire route in roughly three hours. 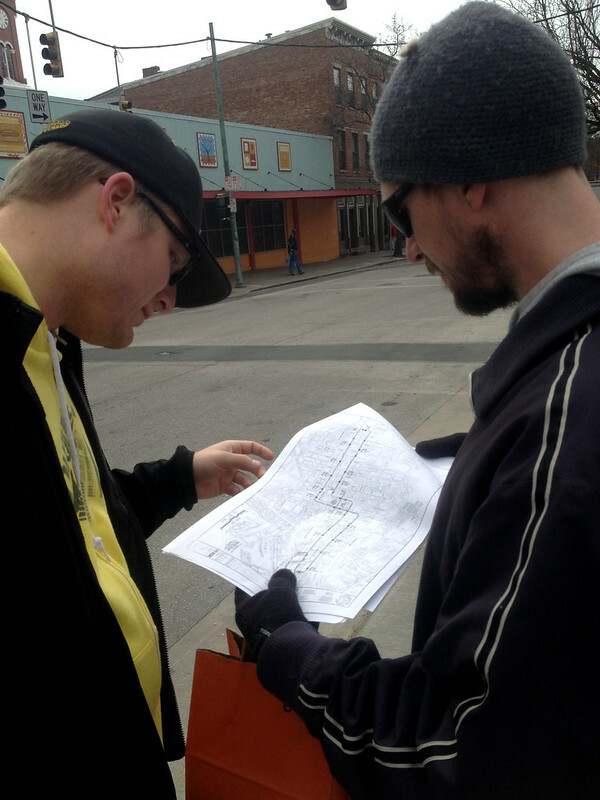 Justin and Noel with our trusty new map. 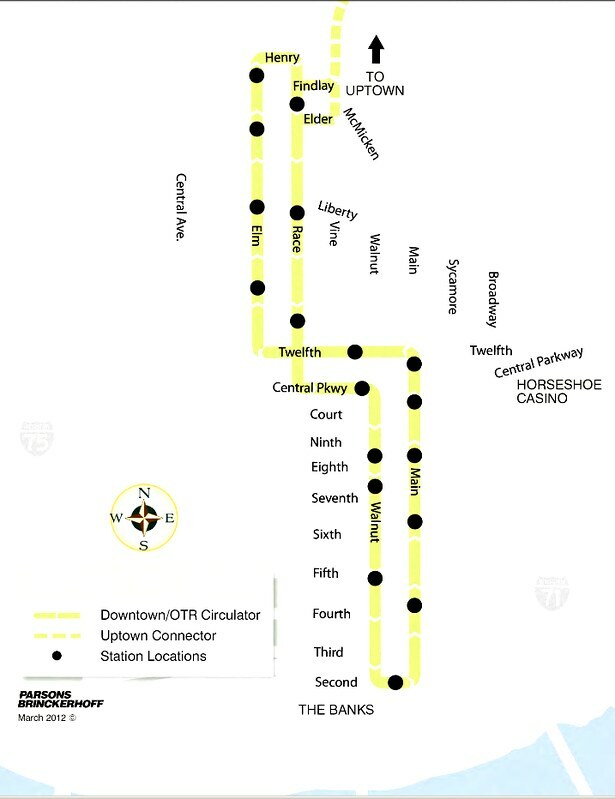 The old graphic map... still great for blogging purposes. 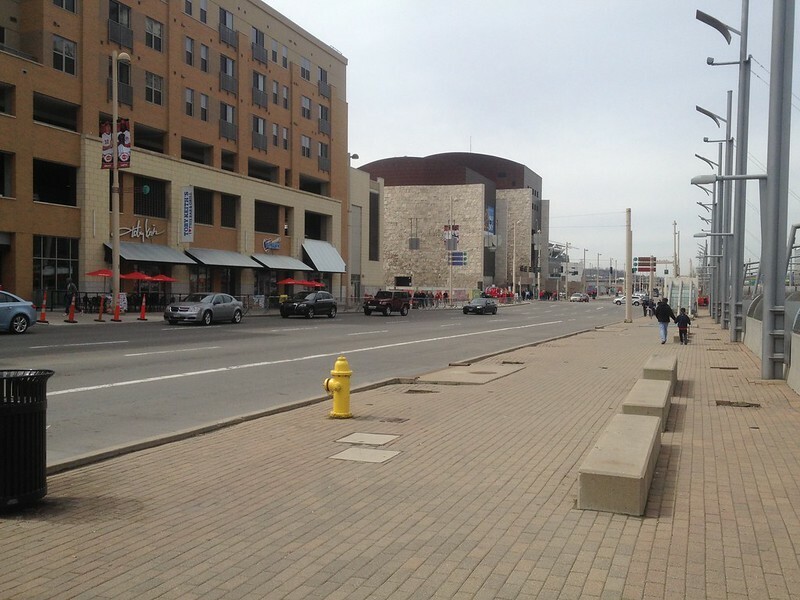 Not much activity was taking place in the Downtown portion, aside from a few signs indicating the streetcar route. 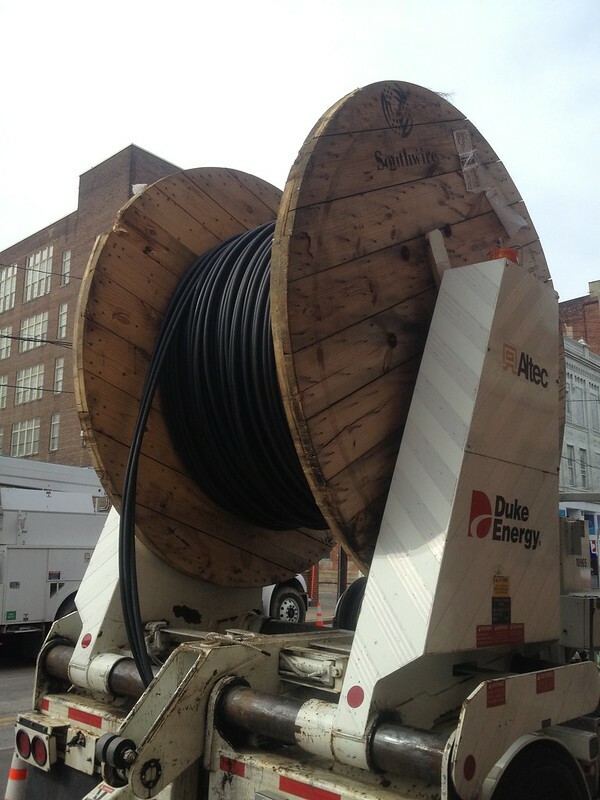 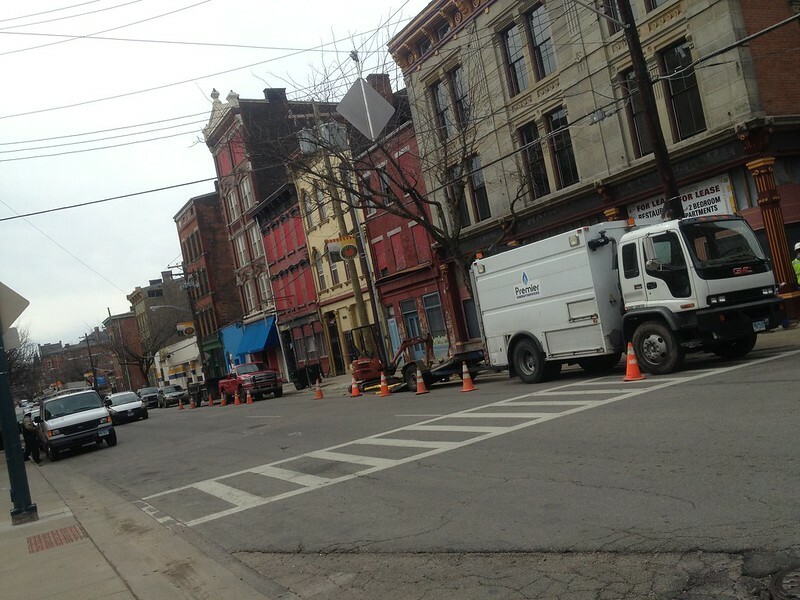 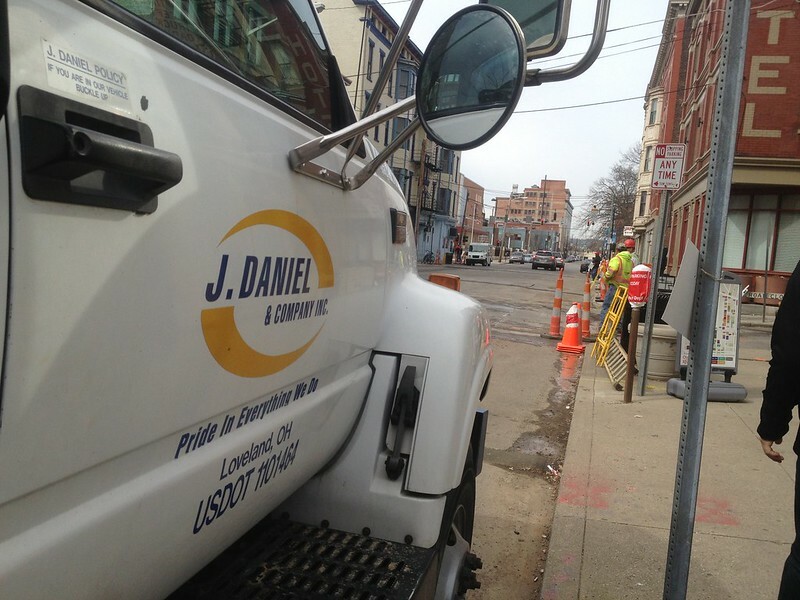 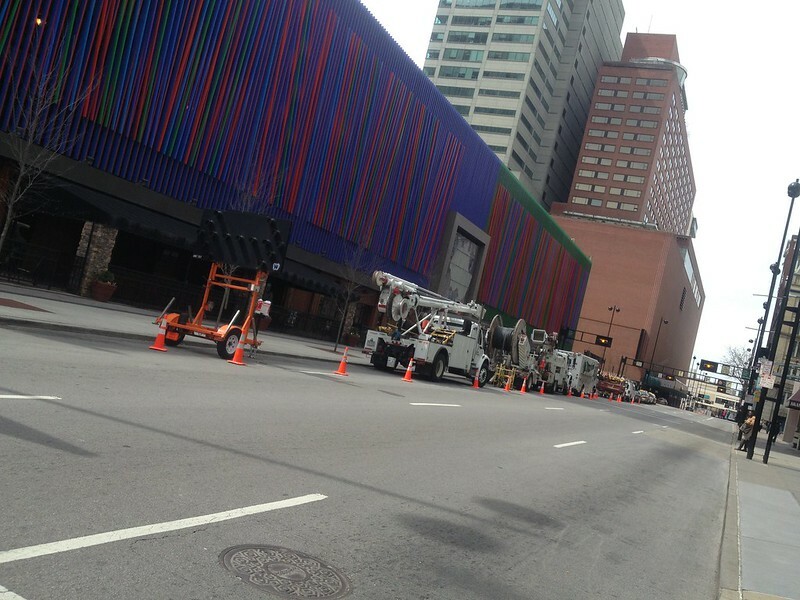 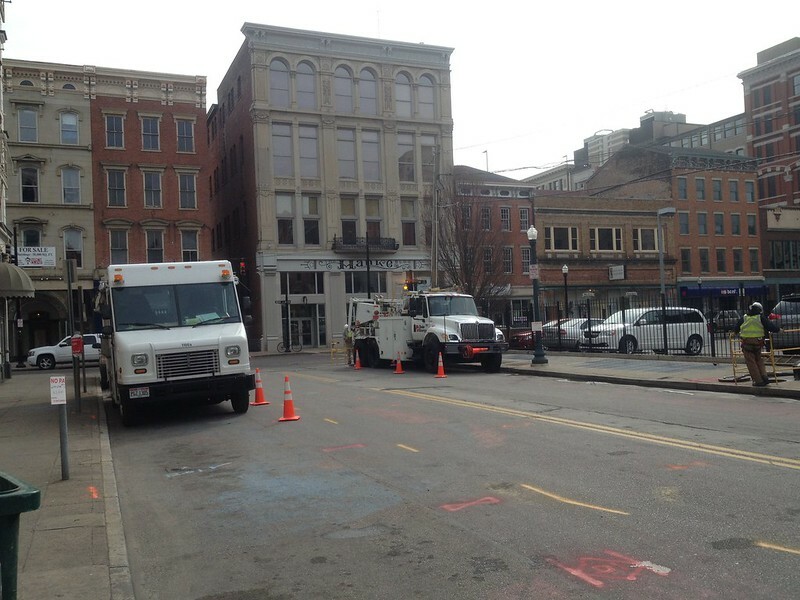 Over The Rhine, however, was bustling with Duke Energy crews as they relocate utilities for track construction. 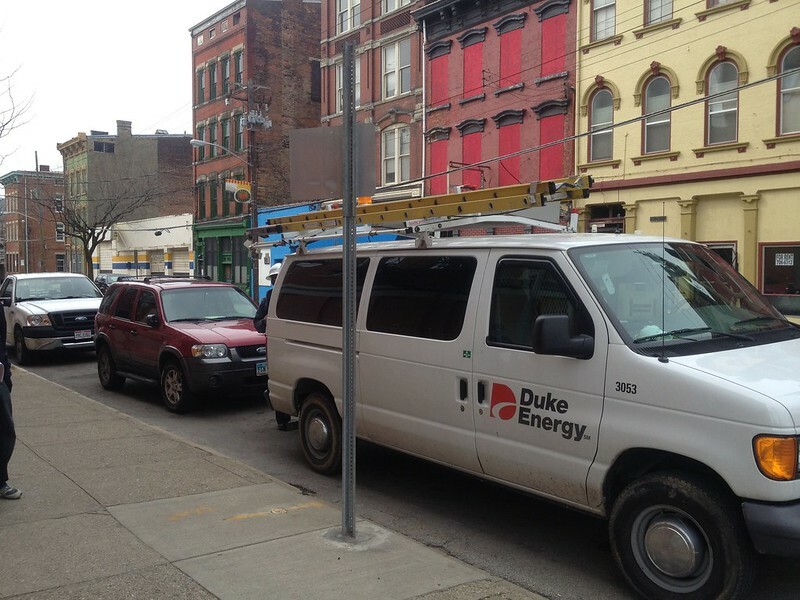 UPDATE: Duke Energy out in full-force to move utilities. 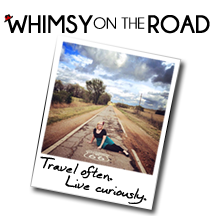 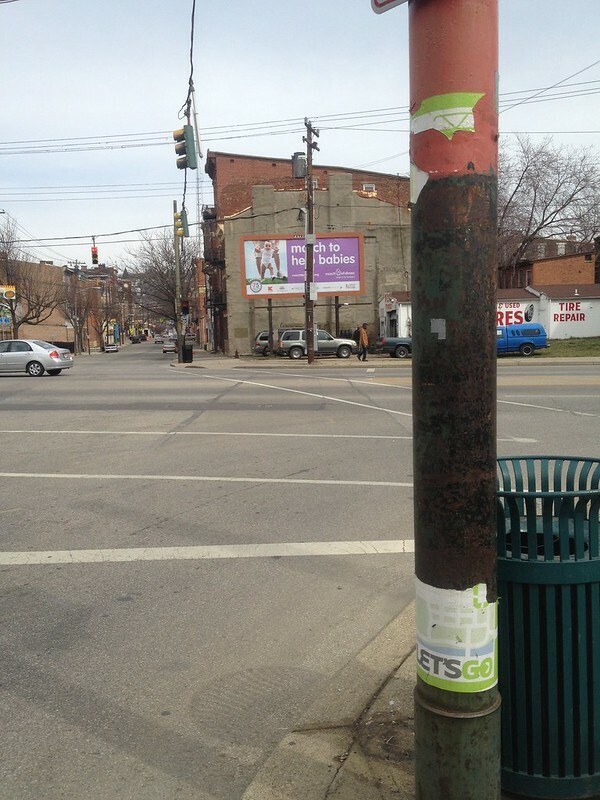 Last month, we estimated this stop too far east. 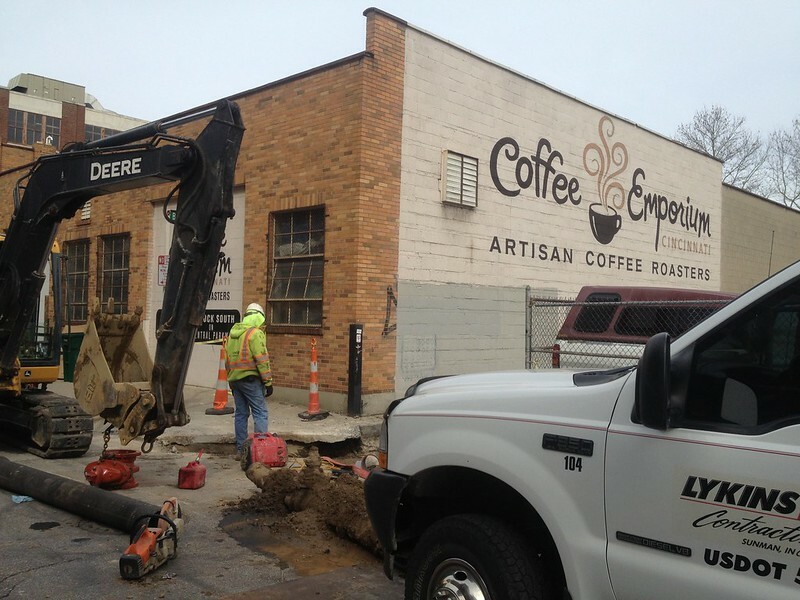 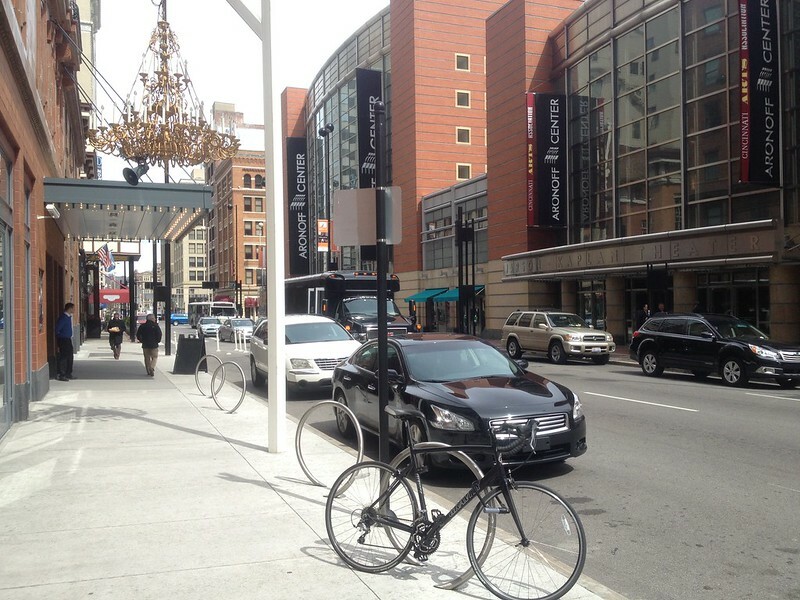 It will actually be right in front of the parking lot at 12th and Vine. 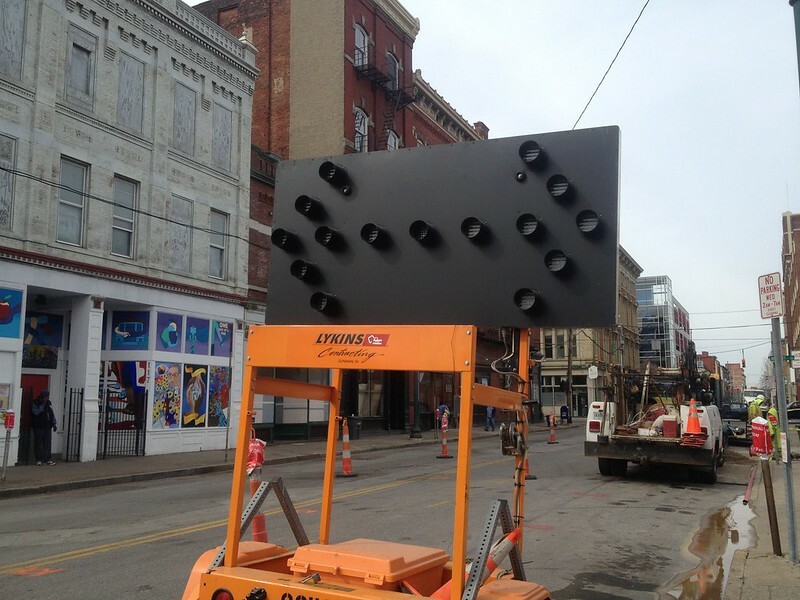 We found another Cincinnati Streetcar sign that was torn down. 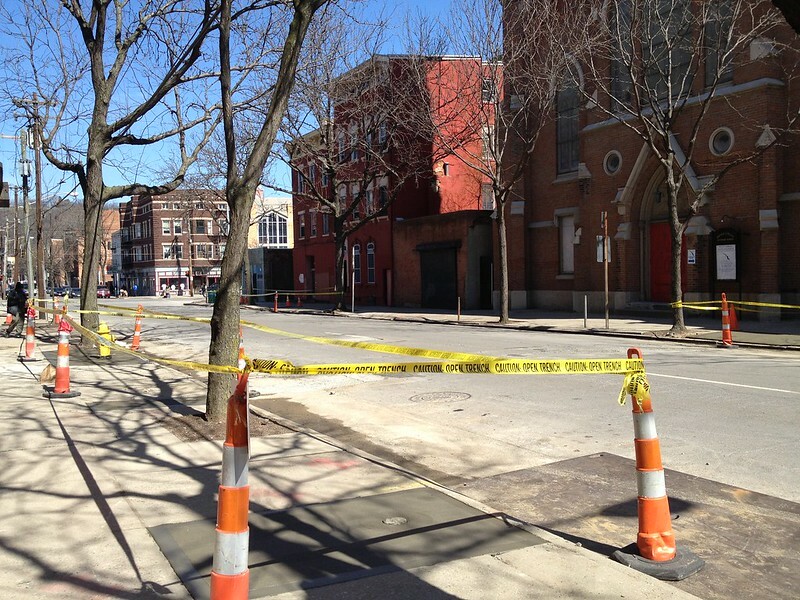 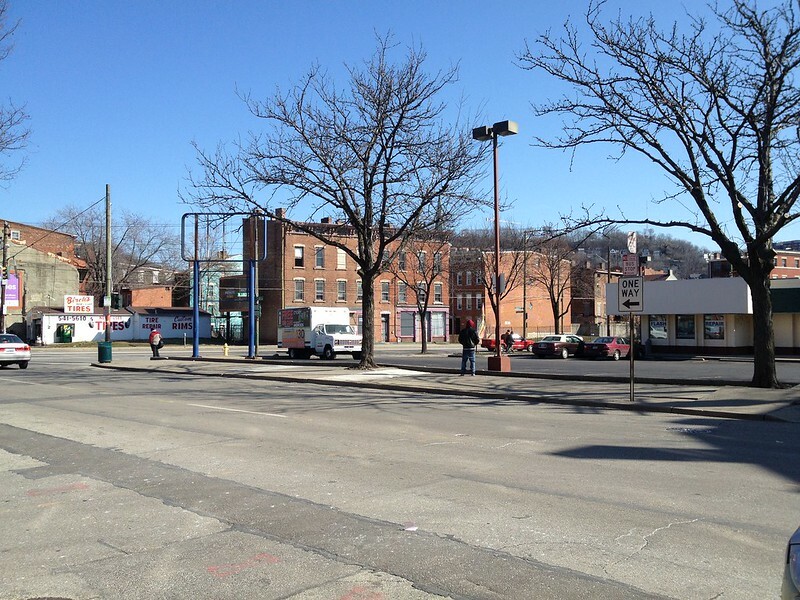 Streetcar stop will be just south of the Elm Street entrance to Findlay Market, as to not to block the crosswalk and intersection. 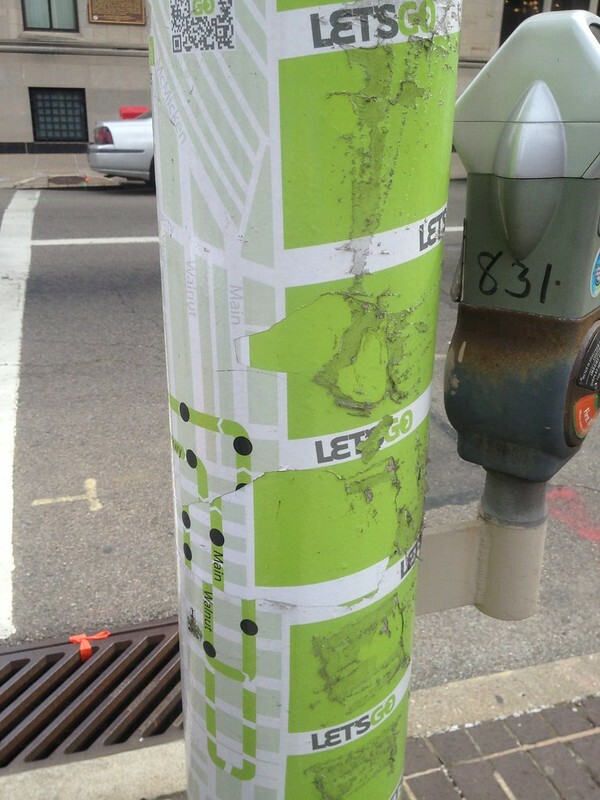 Streetcar signposts like this once marked stops on the route. 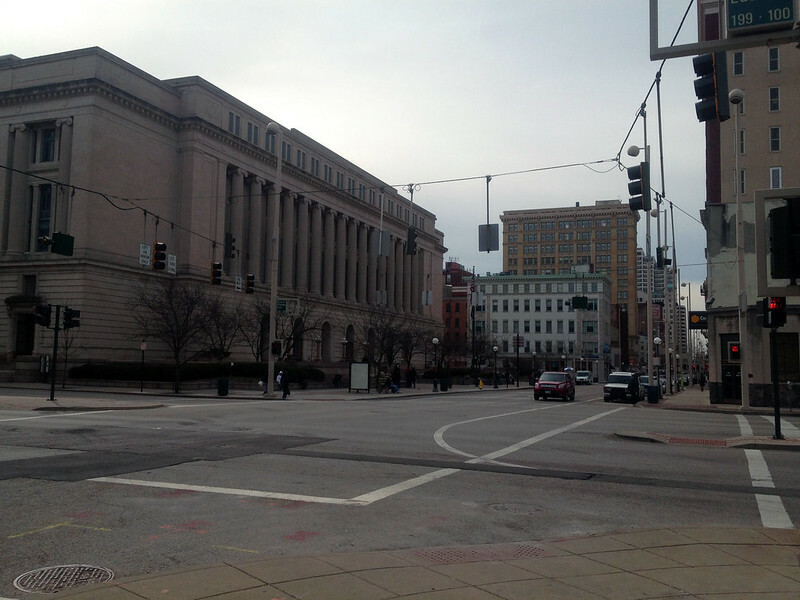 Unfortunately, all but one have been torn down by anti-streetcar folks. 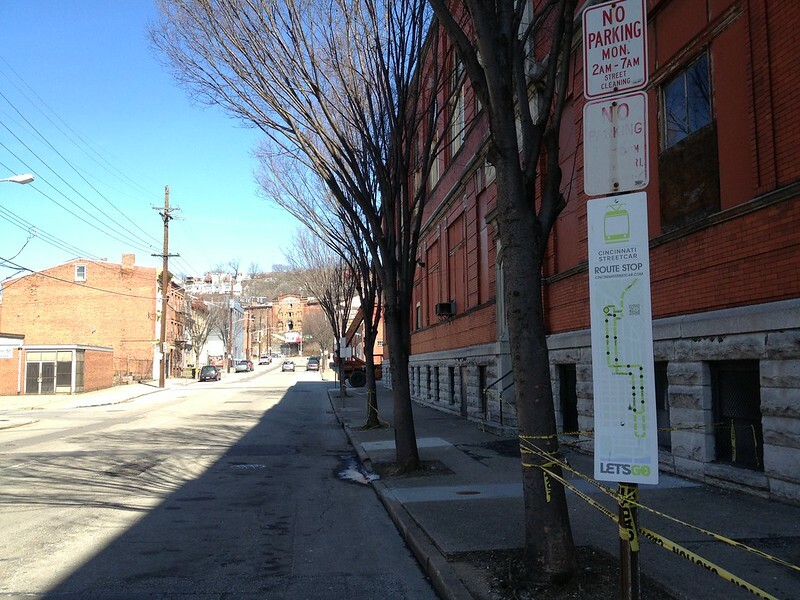 The bend at Henry Street where the streetcar will turn to head south. 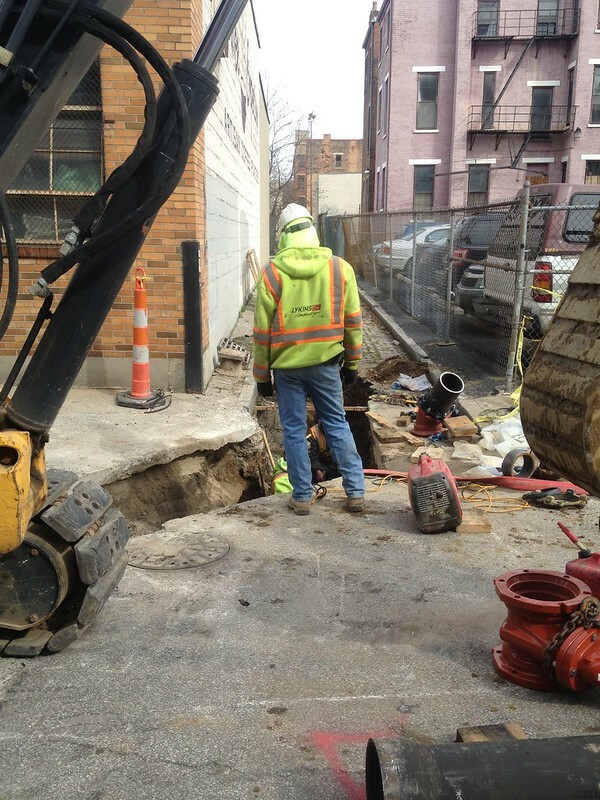 UPDATE: Work on the curb / fire hydrants completed. 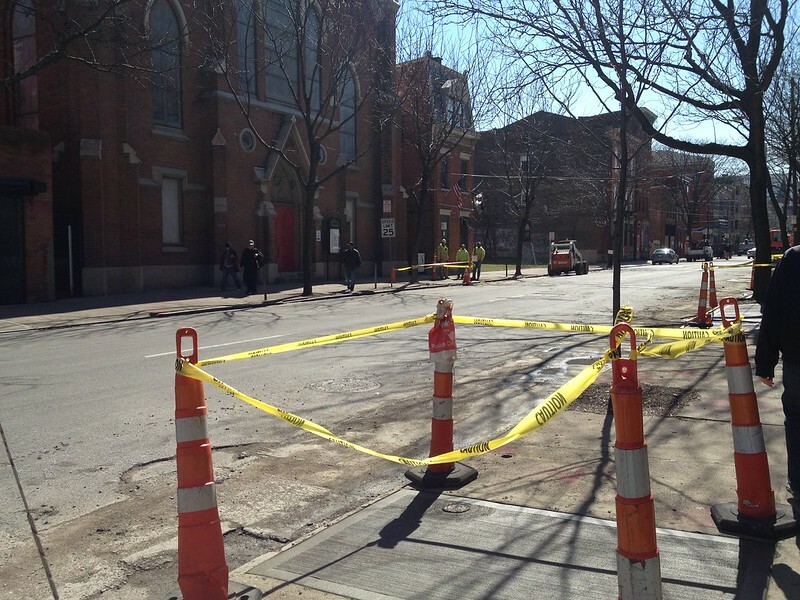 Streetcar will be running on the left side of the street from here to Central Parkway. 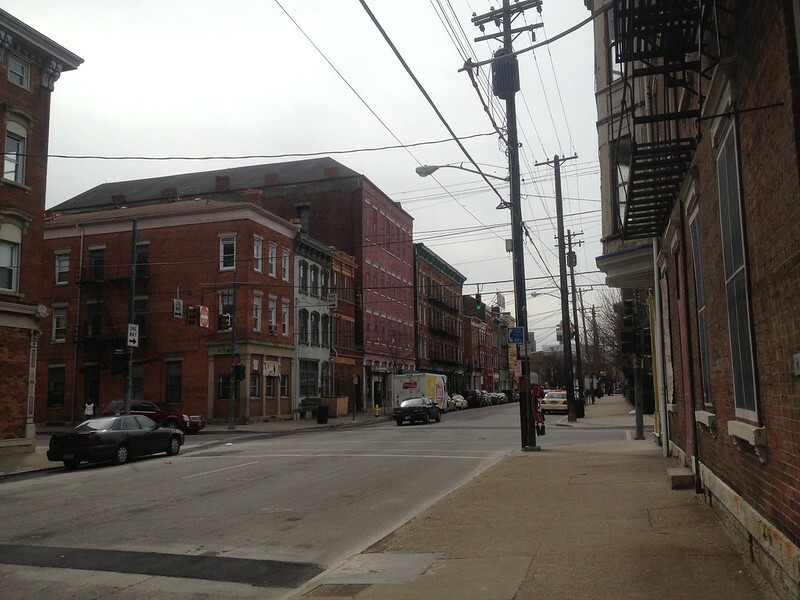 Residential development along the streetcar route. 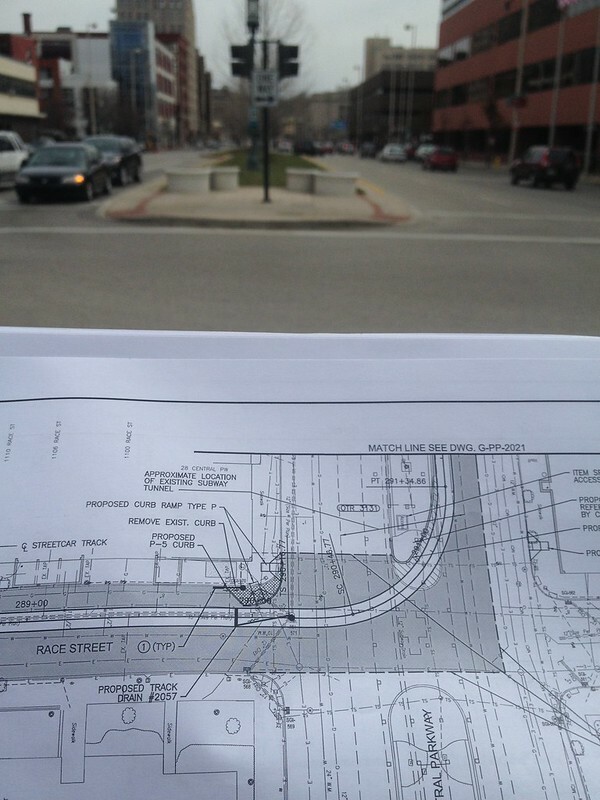 UPDATE: Blueprints indicate for streetcar to turn onto Central Parkway using a portion of the current median. 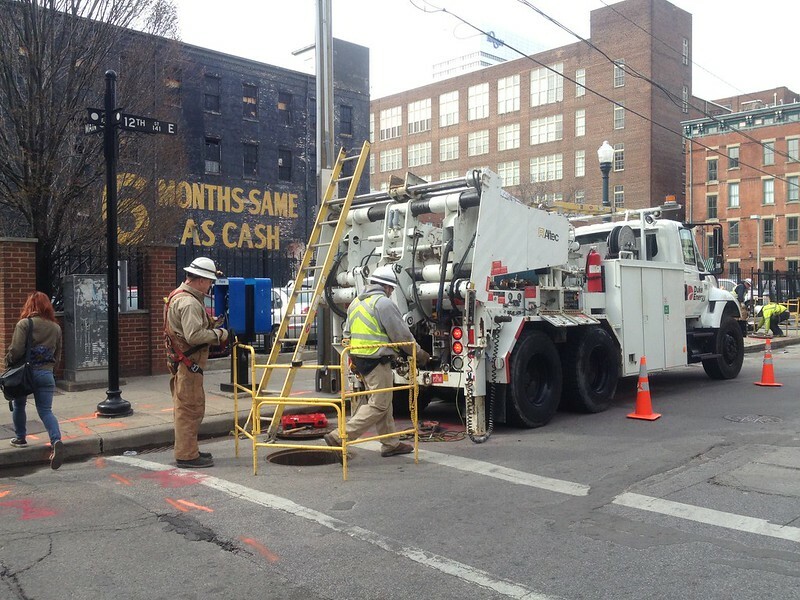 This may allow for future integration for a stop at the abandoned subway tunnels if ever put into use for rail transit. 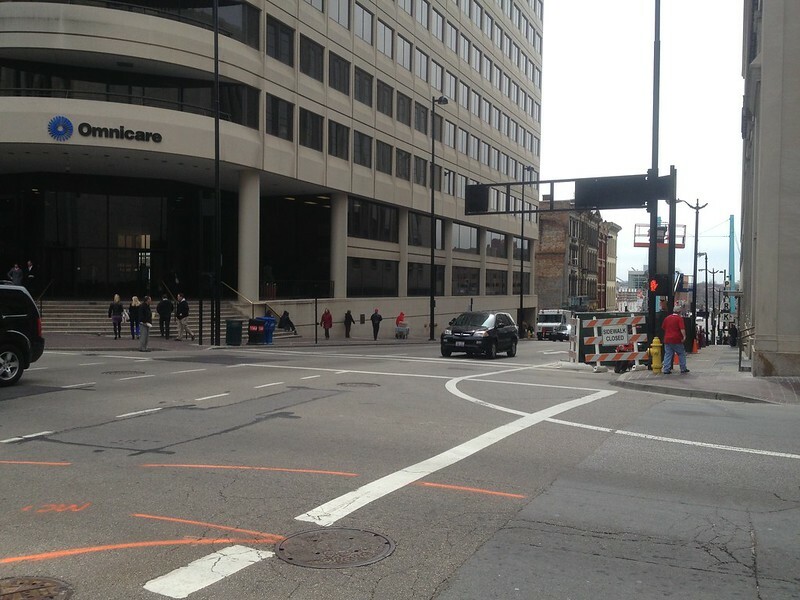 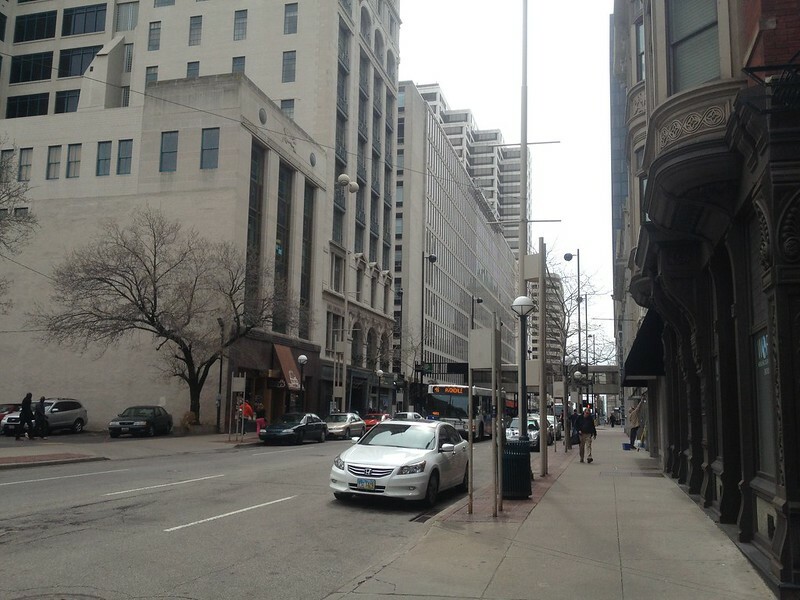 A subway station exists directly below this intersection. 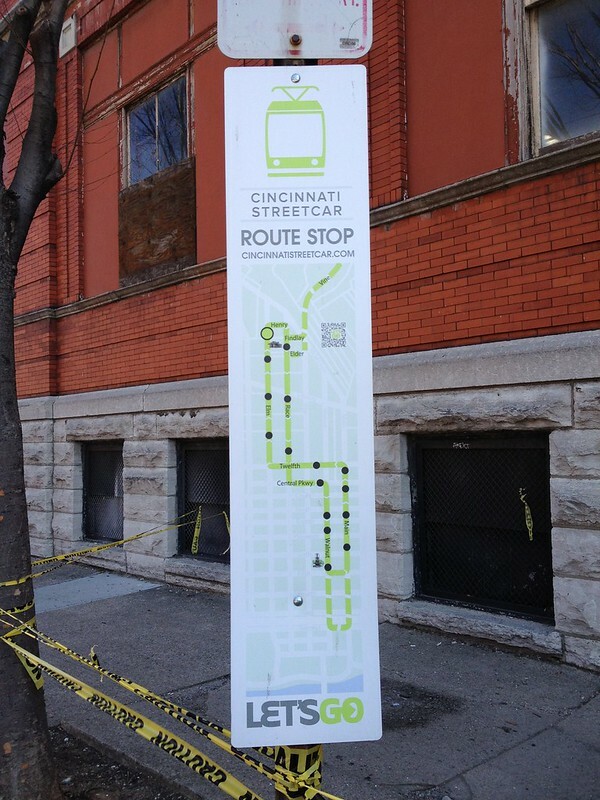 Two streetcar signs have been put up to indicate this stop. 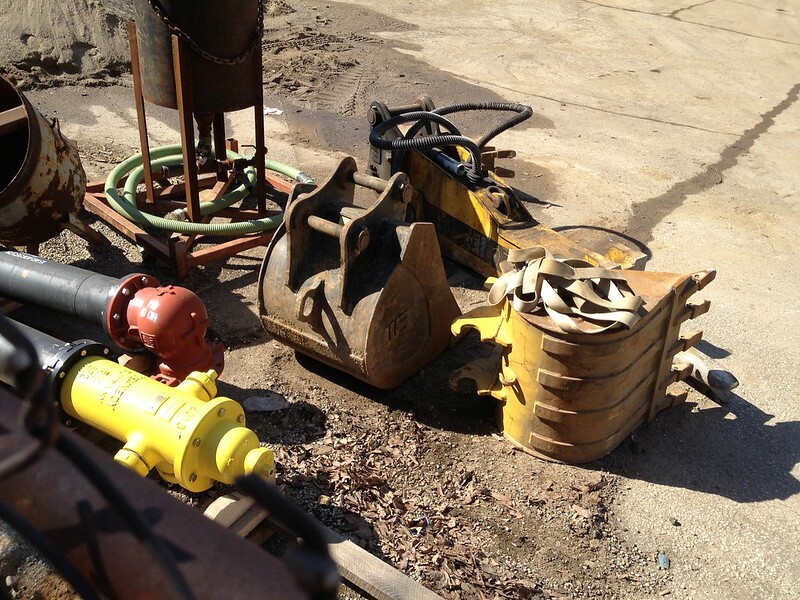 Both have been ripped and partially torn off. 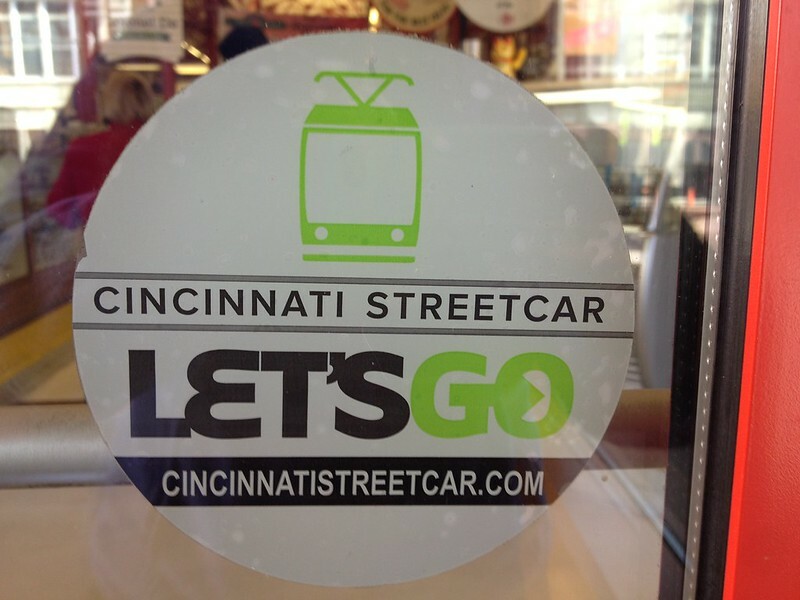 A newish streetcar sign wrap.